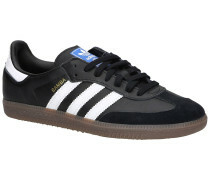 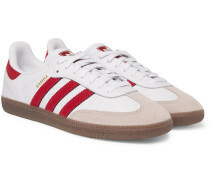 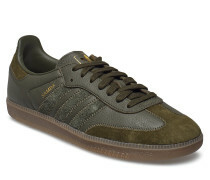 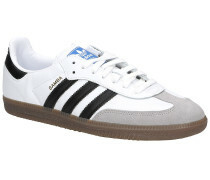 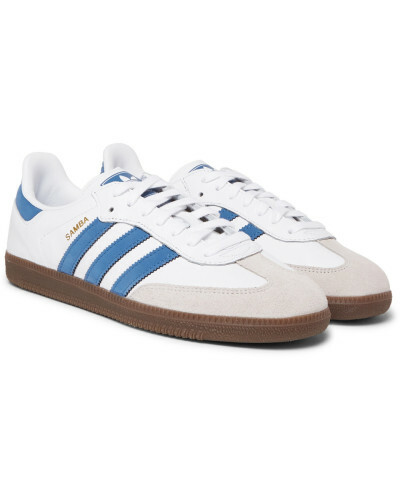 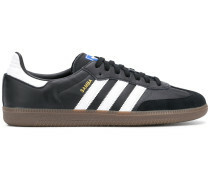 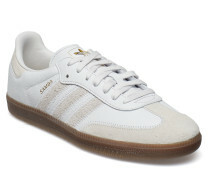 White and blue leather (cow), beige suede - Designer emblems, partial leather linings, rubber soles - Lace-up - adidas Originals 'Samba OG' sneakers were originally designed in the 1950s to give footballers extra grip on icy terrain during training – fast forward nearly 70 years and they remain one of the label's most popular styles. 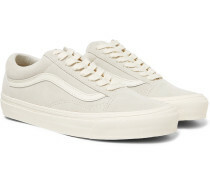 This latest version has the same low-top shape as the original and is made from smooth leather offset with tactile suede trims. 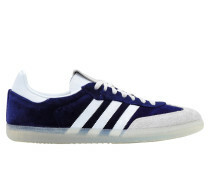 Shown here with J.Crew jacket, J.Crew T-shirt, Jean Shop jeans.